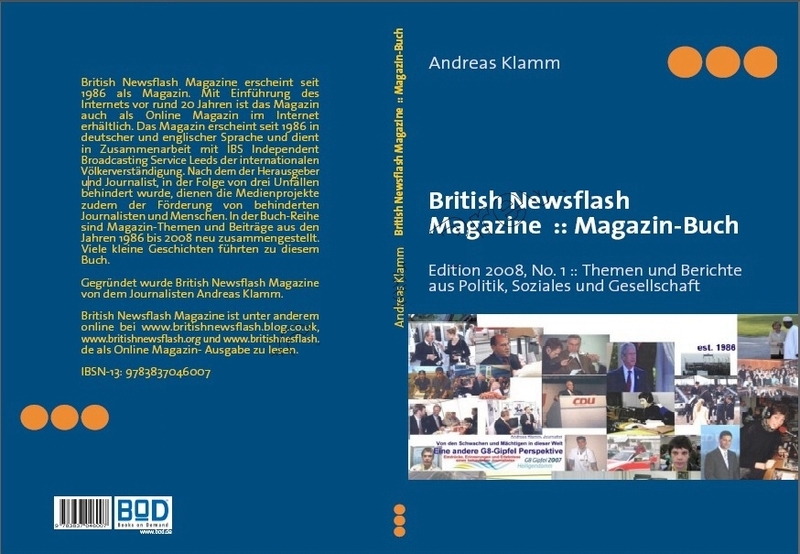 Books which have been recently published by Andreas Klamm, Journalist, author, broadcast journalist, independent television, film, radio and media producer. The books are available in all books stores. Bücher, die vor kurzem von dem Journalisten, Autor, Rundfunk-Journalist Andreas Klamm veröffentlicht wurden. Andreas Klamm ist seit 1984 auch freier Fernseh- Radio- Film und Medien-Produzent. Die Bücher sind in allen Buchhandlungen erhältlich. The author of this book Liberty and Peace NOW! Human Rights Reporters Andreas Klamm is working since 1984 as a journalist, broadcast journalist and author of several books. He is also the founder and director of several international alternative independent media networks and of Grace Med Care Ltd., London, United Kingdom. In the age of 16 in 1984 he became also a broadcasting host of several television and radio programs and an independent television, radio, film and media producer. In 1986 he has founded IBS Independent Broadcasting Liberty (Leeds), Radio IBS Liberty, IBS Television Liberty (www.ibstelevision.com, http://www.ibsliberty.wordpress.com). The international alternative and independent media network is supporting international understanding since 1986. In 2006 he became the founder of the international media project Liberty and Peace NOW! Human Rights Reporters which is providing information about abuses of the human rights and international human rights issues. 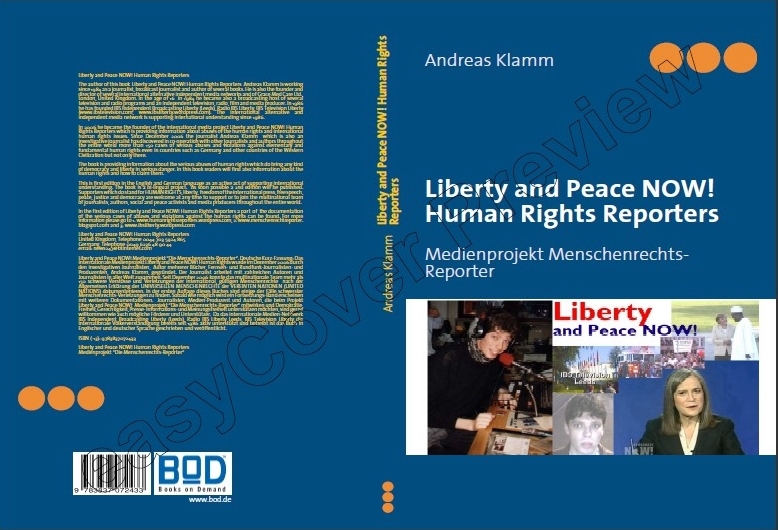 Since December 2006 the journalist Andreas Klamm which is also an investigative journalist has discovered in co-operation with other journalists and authors throughout the entire world more than 150 cases of serious abuses and violations against elementary and fundamental human rights even in countries such as Germany and other countries of the Western Civilization but not only there. The book is providing information about the serious abuses of human rights which do bring any kind of democracy and liberty in serious danger. In this book readers will find also information about the human rights and how to claim them. 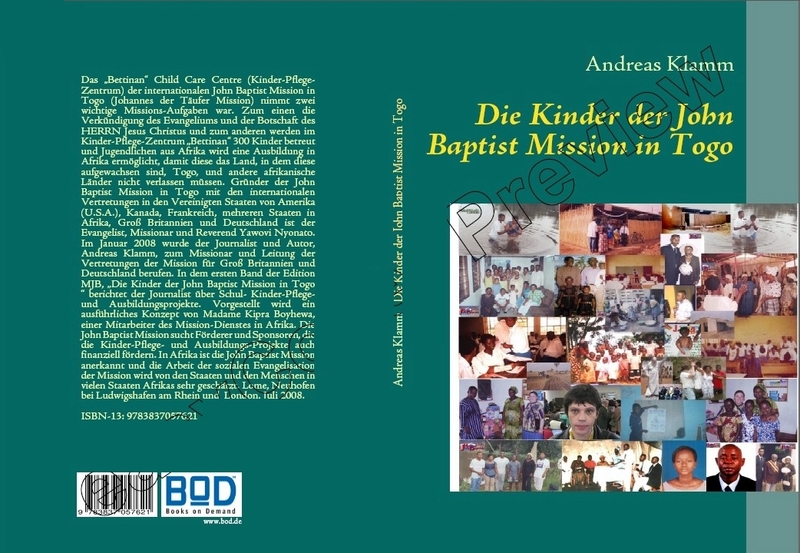 This is first edition in the English and German language as an active act of supporting international understanding. The book is a bi-lingual project. As soon possible a 2nd edition will be published. Supporters which do stand for HUMAN RIGHTS, liberty, freedom of the international press, free speech, peace, justice and democracy are welcome at any time to support or to join the multinational team of journalists, authors, social and peace activists and media producers throughout the entire world.